Jim probably turned the page to the Monoplane hang glider plans in the Book II of that 1915 publication of Boy Mechanic. On page 155, Jim may have paused, as he was strongly a producer and director of images in entertainment. Indeed, he had national TV turn a camera on his own hang glider in 1962. On page 27 of the Boy Mechanic, Book II, that Jim had, what might he have seen in the images of the Ice Boat? He had also been studying NASA's papers and more where the flexible sail was a lifting device. He would with Elsie also do sailing. The Ice Boat featured half of a flexible-wing hang glider. File comment: Photographer: Natalie Maynor. Extended unlimited permission to publish the photograph. Stone in Yazoo City, Mississippi, USA. James Hobson, 90, born on December 30, 1922 in Chicago, Illinois passed away April 26, 2013. He resided in Los Angeles, California at the time of his passing. Arrangements are under the direction of Forest Lawn Hollywood Hills, Los Angeles, CA. James Hobson, 90, né le 30 Décembre 1922 à Chicago, Illinois décédé le 26 Avril 2013. Il résidait à Los Angeles, en Californie, au moment de son décès. Les arrangements sont sous la direction de Forest Lawn Hollywood Hills, Los Angeles, CA. James Hobson, 90, am 30. Dezember 1922 in Chicago geboren, ging weg Illinois 26. April 2013. Er wohnte in Los Angeles, Kalifornien zum Zeitpunkt seines Todes. Arrangements sind unter der Leitung von Forest Lawn Hollywood Hills, Los Angeles, CA. James Hobson, 90, nacido el 30 de diciembre de 1922 en Chicago, Illinois falleció 26 de abril 2013. Residió en Los Angeles, California en el momento de su fallecimiento. Arreglos están bajo la dirección de Forest Lawn Hollywood Hills, Los Angeles, CA. James Hobson, 90, родился 30 декабря 1922 года в Чикаго, штат Иллинойс скончался 26 апреля 2013. Он проживал в Лос-Анджелесе, штат Калифорния во время его прохождения. Принимаются меры под руководством Forest Lawn Hollywood Hills, Лос-Анджелес, штат Калифорния. James Hobson, 90, γεννήθηκε στις 30 Δεκεμβρίου του 1922 στο Σικάγο, Ιλλινόις απεβίωσε 26 Απριλίου, 2013. Διέμενε στο Λος Άντζελες, Καλιφόρνια κατά τη στιγμή της θάνατό του. Οι ρυθμίσεις είναι υπό τη διεύθυνση του Forest Lawn Hollywood Hills, Λος Άντζελες, Καλιφόρνια. This is the confirmation from Ashley. PS: She is aiming to fix confusion on a cemetery web. TheWorld Hang Gliding Associationhas awarded Gustave Whitehead, Tony Prentice, John Worth, Charles Richards, Barry Hill Palmer, Thomas H. Purcell, Jr., and James Hobson, Mike Burns, John Dickenson, Richard Miller, Bill Bennett, Bill Moyes, Dave Kilbourne, Richard Eipper, and Peter Brock, a combination Flex-Wing Hang Glider Gold Air Award for their showing simplicities in hang gliders using the four-boom flex-wing radiating out of standard kiting and gliding extant public-domain arts or the Rogallo-NASA-Ryan-Paresev environment using public-domain arts extant since the first decade of 1910. The Gustave Whitehead teachings that were inspired from the works of others like Otto Lilienthal, Percy Pilcher, Wenham, and others and the most simple hang glider in Breslau of 1908 that had the simple cable-stayed A-frame we use commonly today, combined with the works of these hang glider men of the Flex-Wing Hang Glider Gold Air Award, firms the impossibility of anyone fairly claiming global mechanical "invention" of the basic core hang glider that saturated the 1960s until even prior arts in flying wings saturated designs post 1974. The Gold Award by WHGA is open for the entrance of other men or women to the special award as data justifies; please send in flex-wing hang glider historical data to the FlexWingHangGliderGoldAirAward@WorldHan ... iation.org for processing and possible adding people to the award. The public-domain art extant in 1961 was super simple to copy and make into one's own tinkered wing; the ancients could have had the flex-wing four-boom hang glider thousands of years ago for successful flight as did the men of the this WHGA Flex-Wing Hang Glider Gold Air Award. One can trace the mechanics of Hobson's or Eipper's four-boom flex-wing hang glider right into the first decade of 1900s. The minor tweaks of ornamental appearance for tweaked site and use missions remain part of the story of the flex-wing hang glider. Unfortunately one person who came late in the game has been being pushed into an untenable claim at mechanical global invention of that which belonged to the public already; that person is listed in the award despite the infamous untenable claim that was unfortunately rubber stamped by some orgs who exercised a low-bar scrutiny over their award text to the injury of others and to hang gliding history. It can be traced how one person bullied the untenable claim along with other untenable claims. Differently, the WHGA has this Flex-Wing Hang Glider Gold Air Award that will be open to historical findings about the flex-wing hang glider, perhaps battened. Enjoy the history of each awardee's personal story and adventure. See the emptiness of the hoax, but see the joy of making and flying. The FAI, GH, and JD should know that they will probably be forgiven by the hang gliding community for the rash unsound flattening of the otherwise rich history of the public-domain flex-wing hang glider arts, when they recant and rewrite their untenable texts for some fresh version with open and fair apologies. The great sport of hang gliding has a big joyous heart and it seems to recognize how huge is the excitement that many have about hang gliding; when someone gets so excited that wish to claim what belongs to another, then such matter will be brought to light by those who care about the face of hang gliding; there is no need to flatten a giant great scene into a one-point untenable. Let us know if the WHGA is to add other names to the flex-wing flow fit for the Flex-Wing Hang Glider Gold Air Award. Quite a surprise. However I believe that the WHGA has got it right. No single person can claim the top spot. At last, common sense has prevailed. Attached is a photo I recently unearthed on an old 35 mm colour slide and had it copied to JPG. I had no idea this still existed. It shows the undersigned on the first Skiplane takeoff run, bringing back a lot of memories. Of particular interest is the way in which the prototype wing is inflated and the float attitude on the water just at lift off. We were absolutely delighted to get that straight off the drawing board. Actually, Mike, some one person with his GH buddy does claim the top spot, but I am guessing you meant (correct me, if wrong) "claim fairly the top spot of invention of the four-boom flex-wing hang glider". However, one of the early birds before 1910 might be a valid start; but as the public-domain arts grew so deep, no one could fairly claim the top spot; the entire deal was mechanically present in the first decade of 1910; yes even with the cable-stayed A-frame with tethered pilot hung from keel for weight-shift control directly by handling the triangle control frame. But hugs are still around the GHJD spot, forgiven for their extreme excitement over their local adventure--appreciated, but still no reason to grab merits belonging to the public-domain in the doings such as yours. Your models in 1962 and your success following in the same regions as the much later countryman that would dance with you later is now noted for the world to know a bit further than such was known in the day. James Hobson never claimed the top spot and never claimed mechanical inventorship; in 1962 he foot launched his hang glider; and he featured the A-frame; he saw in his studies that he was just making personal what was mechanically in the public domain. He shared his joy in many ways, two that had international and national USA audiences in magazine and on TV show. Why a Mike Burns image and note above in Jim Hobson's thread? 1. Thomas H. Purcell Jr. had Flightsail maiden flight in October of 1961. Then he modified to second version for start of 1962 and quickly started to sell plans to the world. 2. 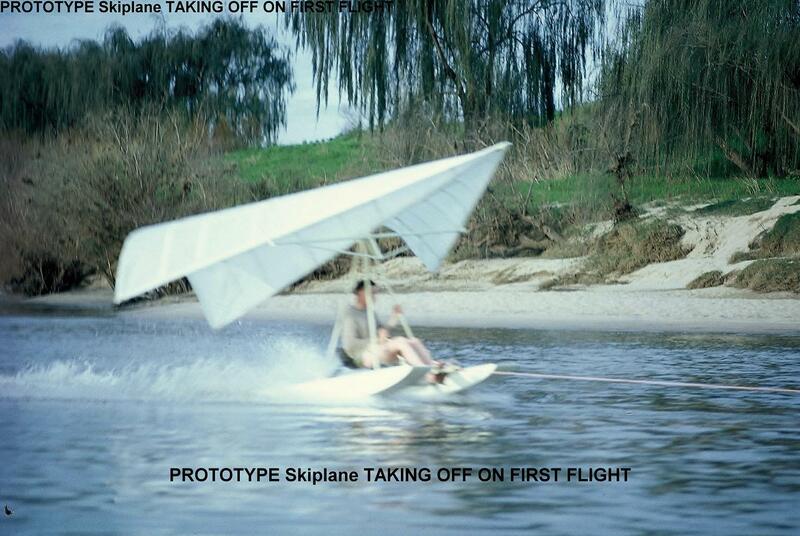 Over a year later one will find the Mike Burns story for April 1963 maiden flight for the SkiPlane in Australia. 3. BUT, at some point in 1962 James Hobson did deep research from beginnings of 1900 to his day. Among the research was a copy of the Flightsail (Plans) that he lent to me in February of 1972. Jim was one of the few private-citizens in the world of 1960-end of 1962 to see the renaissance in flex-wing hang gliding that would not stop growing. Purcell was a tow-launch pioneer in the private sector following corporate leadership. But the three seeding fathers: Prentice, Palmer, and Hobson !!! Hobson had a completely finished craft using A-frame; he published nationally and with some international subscribers at least twice in Sport Aviation in 1962 of the well-known and received Experimental Aircraft Association; he did broadcast showing of his hang glider on national TV in the Lawrence Welk Show before 1962 finished. He was instructed by his research into early 1900s hang gliding literature, the NASA literature, and the Flightsail plans of the Purcell tow radiance. But Jim would foot launch a very very simply hang glider in 1962. He was a professional communicator as producer-director of Lawrence Welk Shows; and it turns out he was a very keen communicator of his hang gliding hobby...sharing his doings in so many ways with effect into Self-Soar Association, Low & Slow, later Joe Greblo visits, and now in his death he returns to help found a solution to the sleepy history channel of the hang gliding community, as his funeral helped to inspire the inauguration of a broad-based solution to the GH Test in the founding of the Flex-Wing Hang Glider Gold Air Awardby the World Hang Gliding Association. If the hang gliding community will diligently take the GH Test and work the Gold Air Award, then it is possible for the hang gliding community to get out of a sleep that slows creativity in the craft and activity. Each person in hang gliding will have some relationship with the GH Test and the Award and award systems-----just what will be the nature of each person's relationship is up to them; each is 100% responsible for what occurs in their hang gliding world. Each of the known three mentioned seeding "fathers" (Prentice, Palmer, Hobson) do not detract from flex-wing fathers of the two or the corporate-engineering world nor of the "fathers" of yesteryear. But a special fathering flavor seems to arrive in Prentice, Palmer, and Hobson, each in their own way. Later, others would father local branches of flex-wing activity. We see Purcell radiance go further. Then we see a kind of Purcell mimic or echo or parallel in Mike Burns and his partner Richard Swinbourne in 1962-3 with a maiden manned flight of their proven models...on an April day in 1963; then even later in Sept 1963 we see a maker tinker up a ski kite adapting as he wrote then to Rogallo "Ryan research aircraft" as JD put bat wings aside. For solid cause, Hobson is the inspiration for good communications; he anchored Low & Slow and seems to finish the second era of its editor via the solution package in the World Hang Gliding Associations dynamically ever-to-sharpen combination group Flex-Wing Hang Glider Gold Air Award. Thank you, again, Jim, for your communication skills! It is hoped that the FAI and HGFA will raise their bar for historical scrutiny as they review their first taking of the GH Test; perhaps FAI and USHPA and HGFA will take the GH Test over again and improve their grade from F to maybe a B or hopefully an A+; their will always be time for people to take the GH Test for HG sake. What is the GH Test ? flight, then radio controlled--in July, 1961. January 2, 1962. He built it of aluminum and with aircraft bolts. The frame was stressed with aircraft cable; however he used hardware store eye bolts and turnbuckles. Sport Aviation magazine, September, 1962. See for picture. production number on "The Lawrence Welk Show: that was aired on January 27, 1962. A second larger hang glider was taken to Dockweiler Beach; it featured the polyester film of 4 mil; reinforcement was with fiberglass tape; movies of the August, 1962 flights were made. James Hobson, one of two known-1962 fathers of simple flex-wing recreational DIY foot-launch flex-wing hang gliding, died April 26. 2013. Formal funeral services on Otto Lilienthal's birthday, May 23, 2013. In his 90s, complications of a needed surgery. 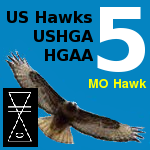 See bio in USHawk.org forum. He in 1962 put hang gliding into the EAA arena and into national television. Director-producer of Lawrence Welk Shows. Resident of Southern California. The idea came to me this morning on Otto's birthday: It might be neat to have "Annual Hang Glider Fathers and Mothers" named; it would locate historical steps in HG history by virtue crafting in some noteworthy manner. 1959, 1960, 1962, 1963, 1964, 1965, 1966, etc. ... Each year there would be some interesting craft mod introduced that caught the eye of those interested in hang glider craft. Piloting would be a different matter; another different annual might be Annual Hang Glider Pilots ... that would follow noteworthy piloting incidents. Another: Annnual Hang Glider Accidents where a source of learning could occur; there is much information in the depths of incidents of breakage and error that could bless the hang gliding community.